I so regret that I haven't been to blog lately. Things have been a little hectic over here, compounded by the recent diagnosis of my elder brother with Multiple Sclerosis. The presentation is relatively mild in his case and we hope that the unpredictable illness doesn't pursue a relentless course. A lot of news needs to be reported though for the last couple of weeks, from the world of wild cats, and here it goes.. The news is mostly good this week. Starting with lions - the king lions to be more precise. The majestic white lions of Timbavati, South Africa are about to reclaim their lost land in that part of the world as a family of these beautiful cats prepares to be relocated back into the wild. The historic move, which involves a lion, lioness and three cubs is going to be a major step towards the conservation of these extremely rare big cats. Even as these white lions do not constitute a separate subspecies of lions and are the result of a genetic mutation in tawny lions, these great cats have historically been sighted all across Timbavati whose scorched grass and white sands form the perfect habitat for these unique animals. However, in the past, these white lions suffered owing to trophy hunting and trapping for a lifetime in captivity. As a result all of these felines were lost from the wild. Now after years of dedicated efforts the Global White Lion Trust is releasing these animals back into the wild, in a thousand hectare enclosure that is said to contain a variety of prey species. Let's hope for the best for the proposed move, and for the future of these stunning felines. More about this here. And you can reach the website of the Global White Lion Protection Trust here. And there is more good news coming out of South Africa. After years of protests and misgivings by conservationists from across the world, a court in Bloemfontein, South Africa, has finally outlawed the practice of canned hunting of lions. A despicable act, canned hunting involves captive breeding of lions and their eventual shooting as defenseless trophies in private enclosures. For long it had tarnished South Africa's reputation as the rich and soulless from across the world flocked over there to bag themselves a lion for decoration of their lounges. Thankfully now it appears that this terrible practice has finally been put of business. However, it remains to be seen as to what happens to the nearly four thousand captive lions who had been bred for this purpose. They can't fend for themselves in the wild and are likely to be victim of foul play or neglect if the authorities don't seize and rehabilitate them soon. More on this here. Canned hunting still goes on in some other parts of the world. Surprisingly for some, even in United States. And even though a number of states have taken measures to curtail it, the practice continues to flourish in certain parts of the US. A new congressional bill now aims to address it. Let's hope that it goes through and this unethical hunting practice is outlawed also in the US. More about this in the 'Post'. Something else of concern from the States. Bobcats are being trapped widely across the US as the demand for their coat goes up in Asia. The price for bobcat pelts is going up across Russia and China as it becomes a 'fashion statement' in two of the world's biggest economies. And even as bobcats exist in significant numbers across the US, concern is being raised about the rapid rate of their trapping for fur. 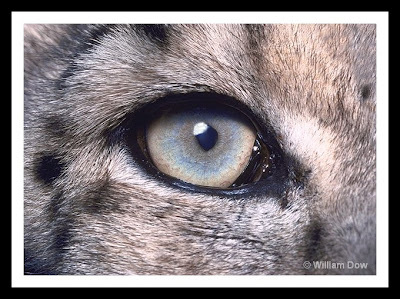 Bobcats are very secretive animals and it's difficult to assess their population or their rate of decline from an area. That is why vigilance and monitoring of their numbers is needed as the demand of the soft skins of these beautiful cats goes up. More here. Coming back to Africa. Parliament in Kenya is contemplating a ban on the pesticide Furadan. The chemical has been responsible for the death of numerous lions, hyenas, vultures and other wild animals after farmers have used it to avenge the killing of their cattle by predators. Recently its manufacturing company FMC placed a partial ban to its export to Africa. Now the government in Kenya is considering outlawing the pesticide altogether, which is deemed too dangerous and unsafe by Environmental Protection Agency in the US. More on this here. To India now. Some good news for Asiatic Lions in India as their population goes up in the Gir forest, their sole sanctuary. The rise is attributed towards a significant number of healthy cubs that are being reported in Gir this year. More good news from Gir is that the government there has doubled the grant money for covering up of the wells across the forest. Numbering in thousands across the reserve these abandoned wells have been responsible for the death and injury of dozens of lions who have succumbed by falling into them. Fortunately they are being covered at an increasing rate now, thanks to money raised by conservationists and provided by the government, and hopefully will be fully covered by the end of this year. More on the two positive developments here and here. There's some negative news coming from Gir too. Barda wildlife sanctuary in the proximity is being threatened by mining. A number of mining projects have been set up in the reserve's periphery, perhaps not in full accordance with laws. The news has emerged only recently, not long after government announced an initiative to shift some of the lions from Gir to there. Disconcerting news therefore for the lions and wildlife of Barda, that will certainly be affected adversely if the mining ventures continue in the sanctuary. More here. To tigers now. And there is a mix of good and bad news here. First the good news. The Indian government has taken some major initiatives recently for protecting its Bengal Tigers. The first involves drastically altering the travel itineraries of tourists across its forests. The authorities are attributing the decline of the striped cats partly to the visitors' interference in tiger's breeding grounds. As a result the movement of tourists across the core areas of tiger reserves is now being restricted. However, it remains to be seen if the move will play a decisive role in saving the tiger in the long run, for there are some counterarguments against it too. To read them and more about this move go here and here. Another significant move for tiger conservation in India is the announcement by officials there to relocate away from the forests nearly one hundred thousand families who are residing in and around tiger reserves in India. A landmark move, this will entail nearly a decade of work and one hundred billion Indian Rupees, or roughly two billion US Dollars. Let us hope that this bears fruition for the tigers and wildlife in due time across India. The full report here. In some forests across India though, government is currently employing the tribal population to help protect the wildlife. One example is that of Mudumalai Tiger Reserve near Udhagamandalam, one of the best preserved sanctuaries in the region. Here the wildlife department is employing the locals to patrol the forest and help the authorities protect the fauna and flora. A unique and somewhat refreshing approach towards conservation that may be sustainable in the form of development of ecotourism and employment of the natives. More on this here. In more good news, the relocated tigers in Sariska have mated, leading to the possibility to a litter by the coming rainy season. Just a few years ago Sariska tiger reserve was wiped clean of all its tigers by poachers. Over the course of past few months a male and two female tigers were relocated there to repopulate the forest. And now it appears that a new generation indigenous to Sariska may soon reappear. More here. Some bad news now. A decline in tiger number has been reported from forests in the Indian states of Bihar, Madhya Pradesh and Maharashtra. In Bihar tiger numbers fell from fifty six to just thirteen over the past seven years, a significant decline attributed largely to poaching. And in Madhya Pradesh five tigers have been lost in the past year or so. In Tadoba Andhari Tiger Reserve in the state of Maharashtra, twenty tigers have been lost in the past five months alone. An alarming rate of decline. It appears that despite the best efforts and apparent good intentions of authorities, the great Bengal Tiger continues to disappear from forests. More on these sad news here, here and here. Another threat to tigers in India - a national highway that is being constructed through the world's largest tiger habitat in Satpura, central India. The road will have quite an adverse impact on the wildlife and ecosystem of the reserve. The conservationists have already lodged their protests against this to the central government. More on this here. And to read an article on tiger conservation and how you can help, go here. To Indonesia now where tigers and other wildlife is coming under threat from a major logging venture that is about to commence across their habitat. Undertaken by the paper giant APP (Asian Pulp and Paper) the move will lead to deforestation of fifty thousand hectares of Sumatran land. Sumatran tigers, who are already coming into increasing conflict with the locals owing to loss of habitat will be affected, as will be one hundred orangutans who only recently were released into the wild there after decades of hard work and study by scientists. More on this here. To neighboring Malaysia now where authorities recently made another seizure of tiger parts and birds. The parts are said to belong to a two year old tiger. Three men were also arrested in the process. Full report here. Quite sad news. To lighten your mood you can read the heartwarming story of a tiger cub that was saved and not destroyed for a change, owing to the actions of humans. Click here. Finally to an unlikely place for big cats. Afghanistan, where Snow Leopards are perhaps making a comeback. This is being hoped after some of these elusive cats were captured on camera traps in Wakhan Corridor in the northeast of the war-torn country. Nearly a hundred Snow Leopards had previously been thought to exist in Afghanistan. Now in the light of this new evidence scientists are optimistic that the number might be higher. To read more on this and see some more of the captured images, click here. And in China a female Snow Leopard was released into the wild after being treated for a respiratory infection. According to details the big cat had moved into a village in a state of ill health nearly six weeks back in Zhangye City, northwestern China. She was then tranquilized and moved to a research facility where the staff nursed her back to health. Last week the leopard was successfully released back into her natural habitat. More here. Sorry about your brothers diagnosis of MS. I hope that goes well. I love all your photographs. They are breathtaking. I'm so happy that the female Snow Leopard was nursed back to health. It's as if she knew she had to seek help. The first shot is amazing Waaaw !! Your words are great and very interesting !! We came by earlier but blogger wouldn't let us leave a comment. It's good to see you posting again. Lots of news, both good and bad. Sorry to hear abotu your brother. My uncle had MS and it took years and years before it had an affect on his daily life. So here's crossing fingers. I do hope all the initiatives are more than paperwork. Maybe it's cynical but I think politicians are interested in looking good but not in doing good. i hope I'm wrong! I always love visiting your blog - it's beautiful! I'm sorry to hear of your brother's diagnosis. Sending my best wishes for him and keeping you and your family in my thoughts. Thanks as always for bringing us up to speed on what's happening with the big cats around the world. And what absolutely gorgeous pictures! Sending ((((((((hugs))))))), and the Ballicai send purrs! First, my best wishes to you and your family for your brother's health. I truly hope that his illness progresses no further. Second, it's wonderful that the good news outweighs the bad, for a change! Most interesting reading this week! My thoughts are with you and your brother. No need to apologize.... life happens. Having three cats in control of our household, I found this to be an interesting site. Your brother will be in my prayers. Sending very best wishes to your and yours! Thank you for visiting my Magpie's Nest! Take Care! I'm thinking of you and your family and hoping everything goes well for your brother! I always love you updates! Hope your brother will be healed soon! My kids love the photos in your post! We were sorry to hear about your brother but hope his health stays as well as possible. Thank you for the update and good news on the Snow Leopard. Oh no. I'm so sorry to hear that your brother was diagnosed with MS. I'm sure you will do everything you can to support him. As for the cat news. I'm saddened by the fact that people are still after wearing fur. These days there are so many alternatives. I just don't understand it. Sorry to hear about your brother's illness. You have give lot of news about the conservation of wild cats from all over the world - RSA, India. Good tho know this. Where did you gain such a big heart for these beautiful cats? I love your work here on their behalf and have learned so much from your posts! I am terribly sorry to hear of your brother's MS. I wish you all the best and him also. Interesting news as usual too. I liked the story of the man capturing the baby tiger. And also about the snow leopards. There was recently a doco on Aussie tv about the snow leopard where some scientists managed to get a collar on one. Then the film crew were able to track her as she hunted for her cub. They were able to show some locals that the snow leopard was not interested in their livestock and so no threat to their livelihood. thanks... for commenting in my post. by the way, the "snow leopard" is the upcoming release of mac os. and what a wonderful post filled with great information...the photos are amazing!!! I wanted to let you know I will keep your brother and family in my thoughts! Thank you so much for visiting the tree house. I wanted to give you permission to use some pictures of mine of a lion. Posted June 1, 2009. Just let me know if you do so I can send readers over to alert them to your cause, and caring for cats. I'll be back to keep up with your worthy quest and news of your brother. 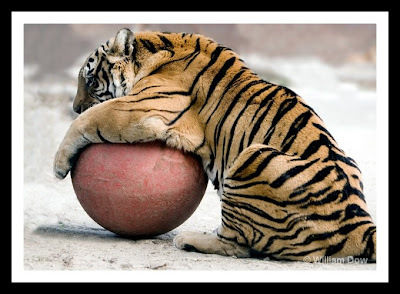 Oh I saw an episode in Animal Planet about the the tigers of Bengal which has a depleting population. I think the Indian government is doing it's best to protecting it but then the poaching of these tigers is too vast and widespread and it's a big business. Prayers for your brother Omer. I had never heard of a white lion before. They are so beautiful. Never cease to learn. Thanks for sharing them. As far as the bobcat goes, anyone wearing a bobcat fur coat ought to be put away as well as the trapper. Great blog, so glad you visited my blog so I could find out about yours! I will put you on my blog list since I need more than just multiple moms on there. I hope all goes well with your brother and I look forward to keeping up with your blog. Nice photo's! Thank you for commenting on my blog. I hope your brother is doing fine. 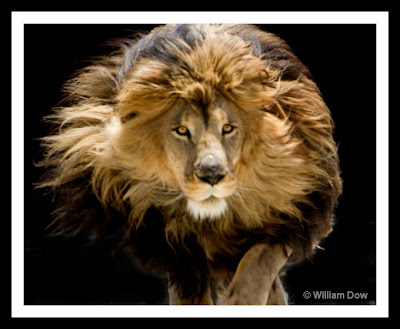 roar.. wow i luv the picture of the Lion.. are you animal doctor? This is really good to have updates about these lovely creatures. Thanks for all the infos. Wow. Very informative blog. Just wanted to stop by and thank you for your comment. What an informative site!! And great photos! Sending positive thoughts to your brother. I know someone with MS so know how difficult it can be. There is a lot of news in this post. I heard about the bobcats being trapped here in the U.S. for their pelts. I just find it so hard to believe in this day and age that some countries still find pelts more fashionable on themselves than the animal. Crazy. My mother-in-law has MS too. Oh my dearest Omer! I am sorry your brither is suffering from MS. I pray it is light for him to get through this...when a loved one suffers, it is heartbreaking. I thank you for keeping us all updated on the world of cats...you give so much to them by letting us develope an awearness about their plights. So many creatures struggle in this worlds all their lives because of man and his inhunanity. Glad to be here again. Just want to say hi and hope u had a great weekend. i love benggala tiger and sumatera tiger much. i live in Indonesia, but i heard that sumatera tiger starting extinction. hope that all tiger in the world still exist till next years.